Remember, this is pre-release software (which is why I used a virtual machine), so install at your own risk. 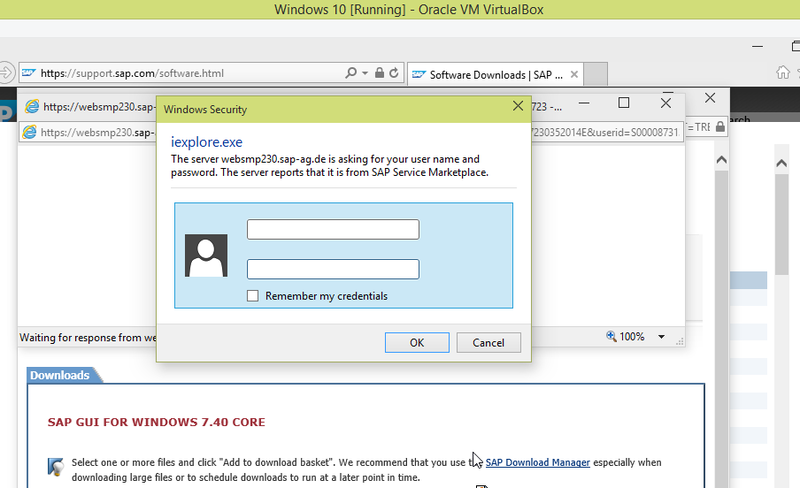 Furthermore, I don’t work for SAP and this blog should not be considered as as an indication of SAP support for Windows 10 in any form whatsoever. I have just installed the current (at time of writing) Windows 10 technical preview in Virtual Box by following the instructions at How to Install the Windows 10 Technical Preview Right Now. Now, I gave the virtual machine more resources than the minimum requirements, but bear in mind that my physical hardware is an 8 processor Intel I7 with 8GB of memory, so I have plenty to spare unless I were to run anything else intensive. The install took about 20 minutes, and the only requirement is that Windows 10 requires a Windows Live account. if you don’t have an existing one, you need to register one your account on Windows 10. I used the same account that I use for my Windows 8.1 machine. Once I was up and running, I went to my favourite web site, to find it kind of comforting that not everything changes …. … but that’s not really Microsoft’s fault (I was too lazy to get an SAP Passport certificate. Anyway, I downloaded the 50127120_6 Presentation – 7.40 Compilation 1 Presentation 1, unzipped it it, drilled down to the SAPSetup, ran it successfully, …..
…. and checked the patch level. There’s been a few problems with patch level zero, so …. 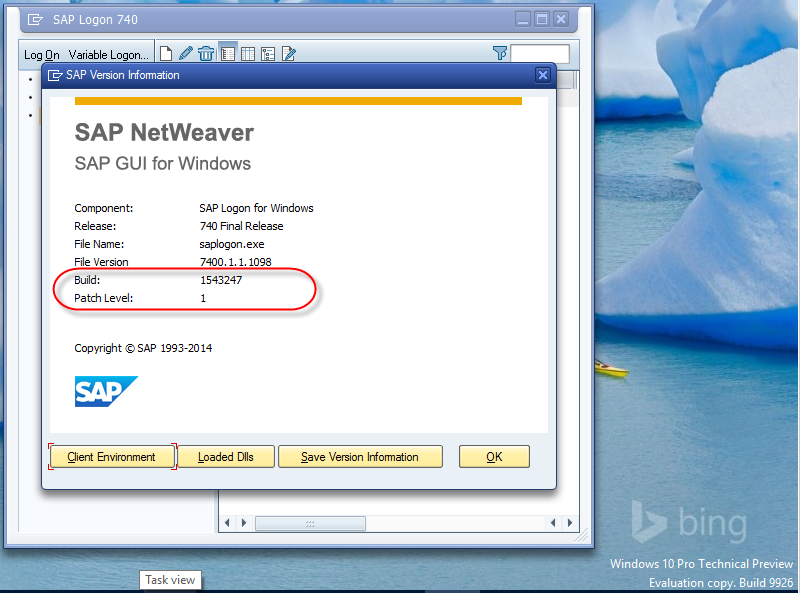 … I retrieved and ran the gui740_1-10013011.exe SAP GUI for Windows 7.40 patch. I checked the patch level again, just to be sure, and it was correct. I had a quick look at the options…. … then logged onto my system. 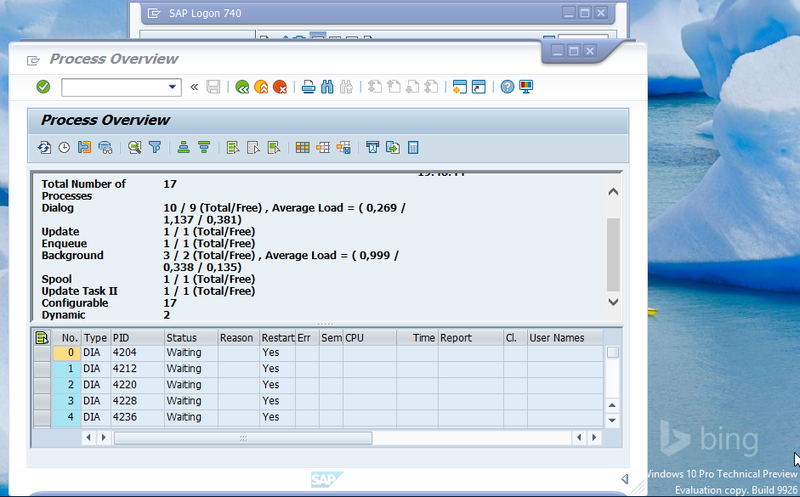 Bonus screenshot of SAP logon in my start panel. Thanks Martin, I did the same as soon as it was relased. One caution, NWBC 5.0 is not yet ready for this version of Windows. Hello Martin, did you manage to install or activate Fullscreen (maybe by using Guest Additions)? Officially Guest additions are not supported yet for WIN 10 9926..
From the first image; I have allocated 3072 MB of memory and 2 CPU (out of a total 8192MB and 8CPU on the box) to the VM. On a physical box with similar specs, I wouldn’t be getting great performance 🙂 BTW, that CPU count can be a bit misleading; According to the Windows 8.1 task manager the underlying hardware is 4 cores, and 8 logical processors. I don’t have 3D or 2D Acceleration enabled under the display settings for the VM. My laptop is at 1366×768 resolution (14″ laptop); originally, if I run the VM at anything higher, then in full screen mode, I couldn’t see the bottom half of the screen. 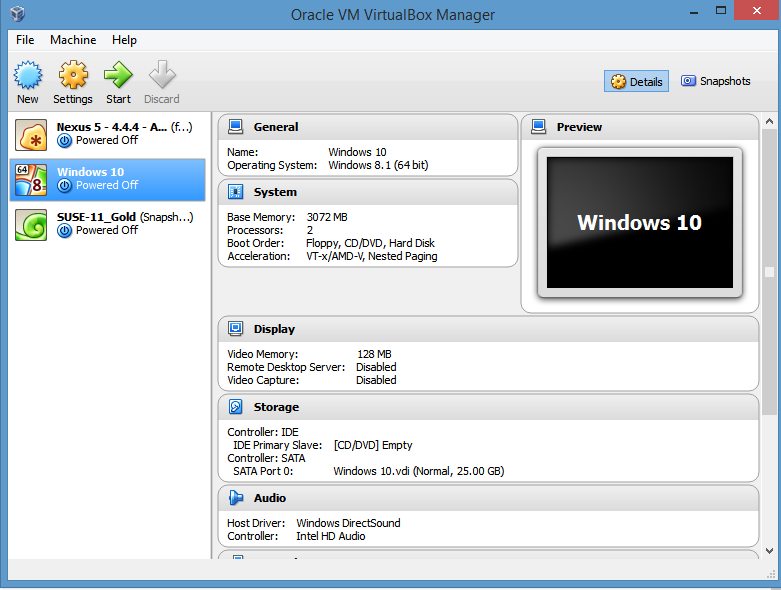 Fixed it by following the instructions at virtualbox.org &amp;bull; View topic – Max. screen resolution on Windows 10. It’s not that obvious, but you need to shutdown the VM and shutdown Virtual box before you execute the vboxmanage command. NWBC 5.0 is not working with Windows 10, No issues during installation, however, when you launch, it says .Net framework 4.5 is not installed. That is hardly surprising since .NET 4.5 is a prerequisite for NWBC 5.0. Reading the documentation really pays off sometimes. 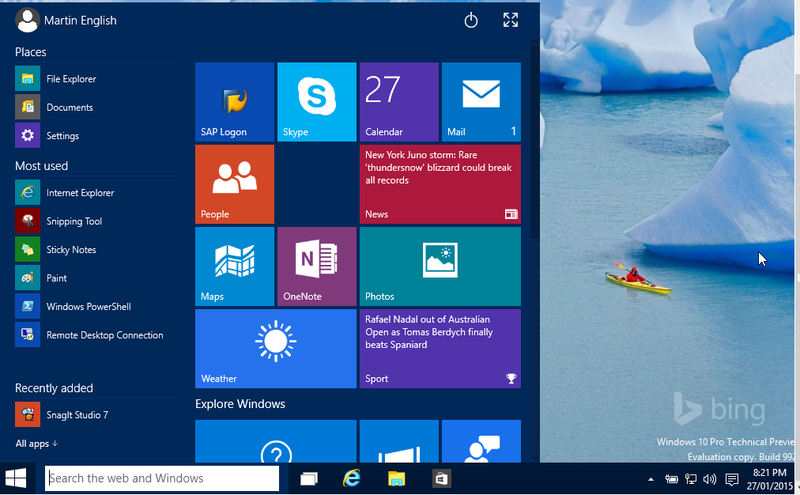 Windows 10 is already having .NET 4.5. In fact, it is 4.6. NWBC says it is not installed. We are already aware of this issue and are working on a fix for it. 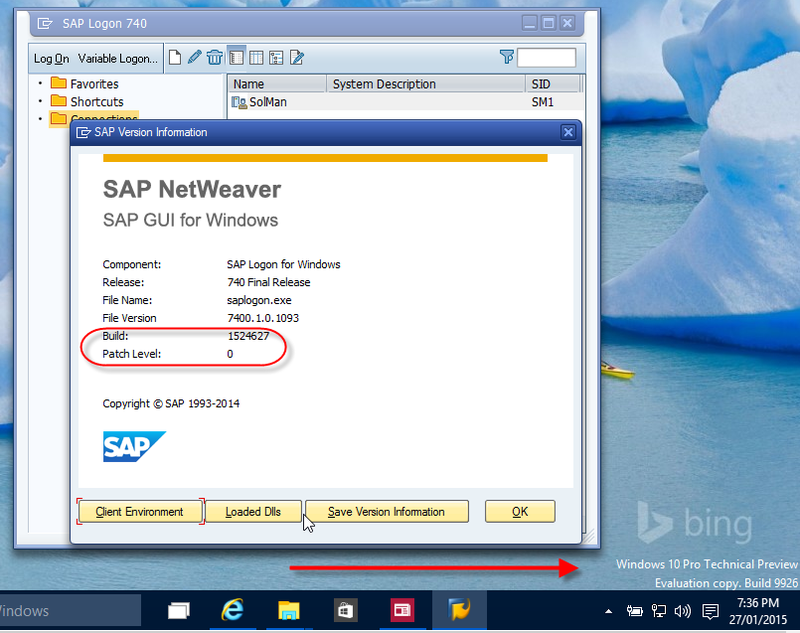 Windows 10 is now officially released and I just installed the latest and greatest SAPGUI and NWBC on level 7.40 from SAPNet. Still no fix as I understand it. I am getting the same error messages as indicated above. Any timeplan for a fix to be shared? You must install patch 3 or higher for the 7.40 gui, Johan. The note http://service.sap.com/sap/support/notes/66971 states that patch 4 is officially supported with Windows 10 OS, although patch 3 worked fine with the beta versions of Windows 10. Thank you for info. Good that this is solved. What I find a bit strange is that the absolutely latest SAPGUI to be downloaded doesn’t contain these patches already? For me that is not the way it should be. 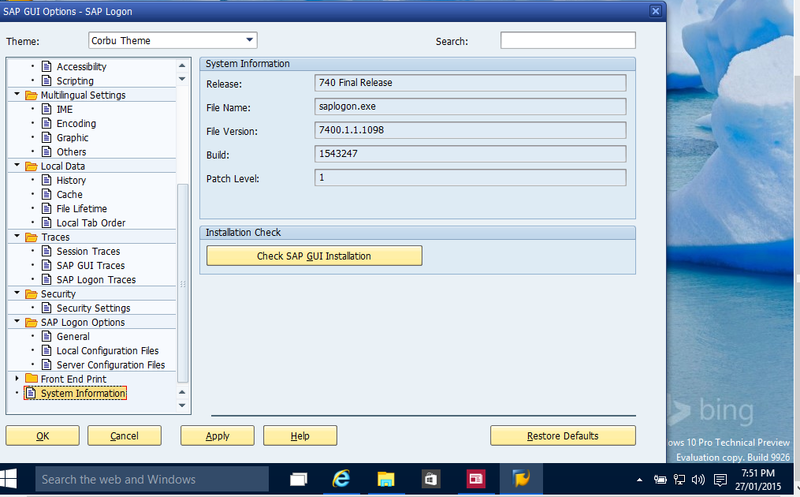 I understand that paches makes sense for a large business upgrade of SAPGUI but for a fresh installation you should be confident that the latest release to be found also contains all patches. Anyhow, I will follow your kind advise and installl needed patches. SAPgui installations are released as “Compilations” and Compilation 1 of the SAPgui uses patch 0 as it’s base install since this was the first release. With Compilation 2 DVD due in October, this will either use patch 4 or patch 5 as it’s base installation. Normally, an installation server is created which is then patched with the most recent patch so that this can be rolled out to groups and users. Hope this can explain somewhat. 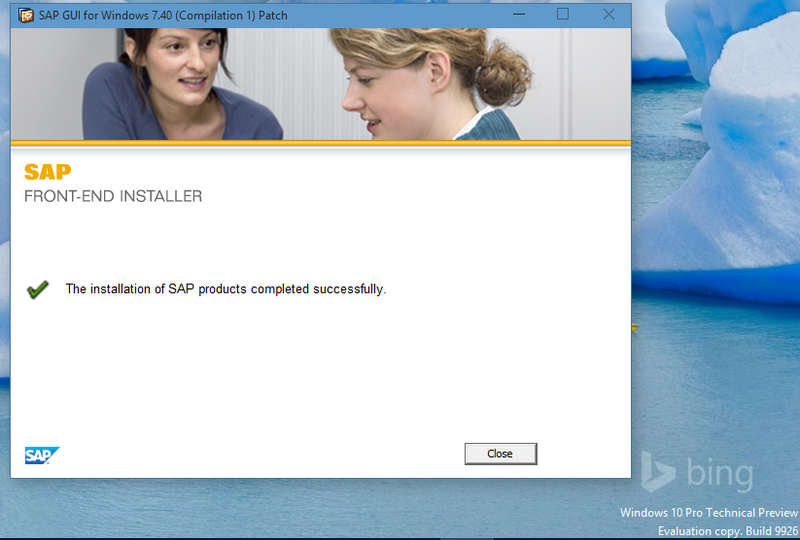 Fair enough but I would still see that the latest fresh install of SAPGUI would ALWAYS contain all patches so far. One way to solve this would of course be to offer more than one SAPGUI download. One as Patch 0 and then adding on with upcoming patches. Then it would be a no-brainer to choose I would assume. Now it is only one version which as you explained is Patch 0 until a new major release is available. I’ll use the SAPGUI only as a separate install and not with an update server (I think you already guessed that…).